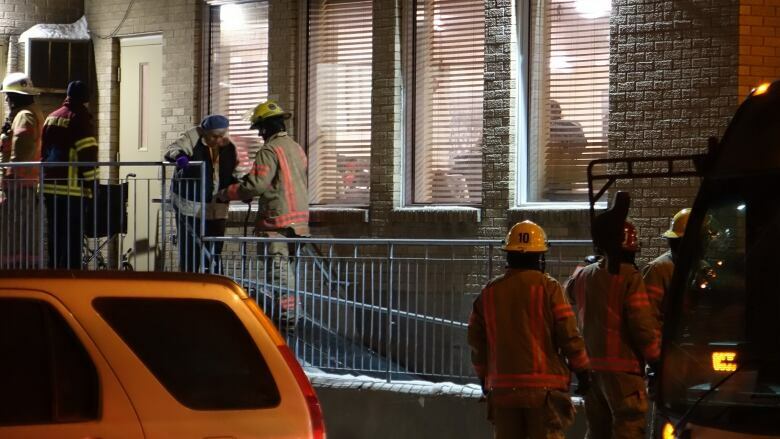 A seniors' residence in Montreal's east end was evacuated Thursday evening after a fire resulted in electricity being cut off to the building. The fire started at around 7:30 p.m. at Résidence 6900 Papineau where a generator was being used as a backup electrical source due to a neighbourhood power outage. It was the generator's usage that lead to its vent catching fire, according to Montreal fire department chief of operations Jaclyn Ostiguy. "The generator was running all day," he said. Firefighters were able to get the fire under control quickly, but it caused a substantial amount of smoke, he said, and the power was cut off to a building that relies on electric heat. With frigid temperatures gripping the city, a large-scale evacuation was launched to get 91 residents to safety. More than 60 of the residents were brought to the nearby Jean-Rougeau Sports Centre in Villeray–Saint-Michel–Parc-Extension. Ostiguy said 20 residents were sent to stay with their families while the rest were transported to hospital as a precaution. 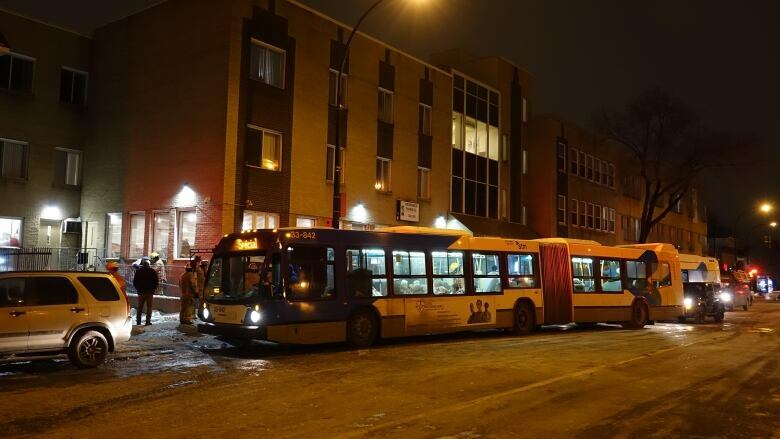 A Montreal city bus was used to transport residents to a nearby arena to keep warm overnight. The Montreal fire department, police, Urgences-Santé, the Canadian Red Cross, the city's public transit service and others were involved with the rescue. City buses were used to transport the residents. Residents returned to their homes Friday. Electricty was out in the sector due to a noon fire in an underground electrical unit belonging to Hydro-Québec. That fire started under Bélanger Street between Boyer and Saint-André streets, shutting off power to nearly 21,000 customers at its peak. Hydro crews are still at the scene Friday, hooking up 10 generators in order to slowly restore power to residents in the area without overloading the grid, said Hydro spokesperson Jonathan Côté. As of Friday morning, hundreds in the area were still without power, including the seniors' residence. 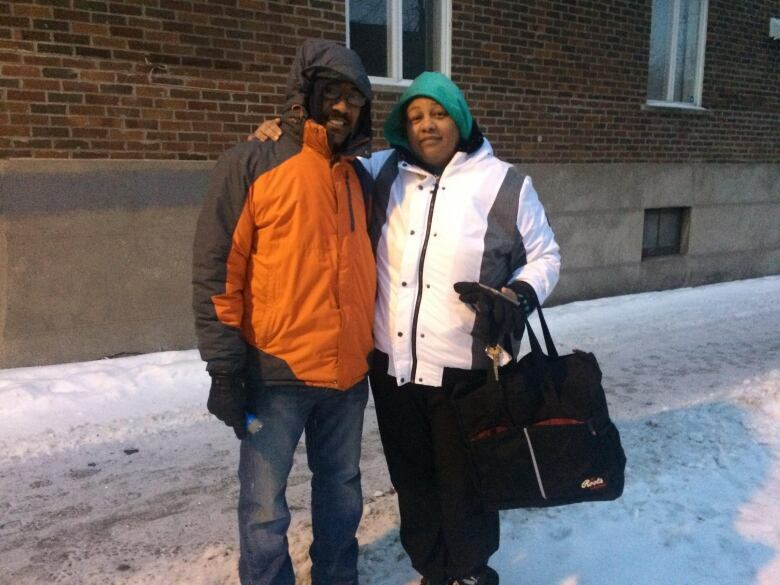 Mayia Medina and her husband Amado Algorroba stopped by their home at the corner of corner of Bélanger and Fabre streets early Friday morning to pick up food from the fridge and grab some clothes. They have been without power since noon Thursday and stayed at Algorroba's sister's place overnight. Medina owns a daycare and told parents to keep their kids home for the day. "In 16 years I've never seen a power outage like this," she said. "It's colder inside [my home] than outside right now. It's discouraging, but it happens."